We had another great meeting yesterday, with several new members, who contributed their points of view – something we value. And the WritersMic Meetup the night before had 11 enthusiastic readers plus guests. I wasn’t able to be there, but member Sheryl Kayne took over the duties of MC, to general acclaim. Thanks, Sheryl! I’m going to begin the update with some events that are happening very soon. Dr Suzanne Hoover, a former master teacher at Sarah Lawrence is giving a class on Endings, (how to end your novel) this Saturday, May 20th, from 2-4pm at the Westport Writers’ Workshop. Also on May 20th, from 11-12.45, Patrick McCord is offering a FREE introductory class at Write Yourself Free in Westport. He has a specific method that can help you structure your writing to make for a better book. Although their main classes started this week, they may still have room for you to join one if you like the freebie. One of our members, E.V. Legters, is holding a launch party for her second novel, Vanishing Point, on June 4th at the Fairfield County Writers’ Studio from 4-6pm. Come and support her, and enjoy the festivities, and hanging out with fellow writers and readers. One is headed by Jan Kardys, who organizes the Unicorn Writers’ Conference, in which you can bring 10 pages to be critiqued. The next meeting is on Saturday, May 20th. Check it out here. Also for poets, the Monroe Poetry Meetup. A Meetup for Christian writers: Word Weavers of Southern Fairfield County. And there’s an Open Mic Night in Norwalk Meetup, which includes performances of all kinds, including reading, I think. But check it out by being part of the audience, if you’re not sure whether it’s the right fit for you. And speaking of telling stories, Barnes and Noble, our gracious hosts in Westport, will be having a regular storytelling evening each month, the first on June 21st. They’re looking for people with a personal story to tell about strong women who’ve had a personal effect on you, experiences where a woman with power helped or hindered you, etc. Like their Facebook page or call in at the store to get updates about how to tell your story. The New York Pitch Conference, a 3-day event running from June 22-25 offers a wonderful opportunity of meeting agents who might actually be interested in seeing your work. It’s not cheap – so if you haven’t finished your book and got it publication-ready, it’s probably best to wait a while, according to those in the know. Later in the year, The Ridgefield Writers’ Conference is a one-day event for writers to be held on Friday, September 22nd. Enter a contest. This one is the Brighton Prize, which exists to find inventive new writing. It’s open for entries until 30th June, and has two categories: short stories between 1000 and 2000 words, and flash fiction under 350 words. The prize for the winning story: £1000, with two runners up getting: £100 each. 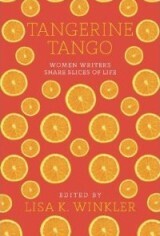 Drew Lamm has shorter summer series of her unique writing groups for women: To Taste Life Twice. I’ve been going for some years, and value the peaceful place where I can write with other women, and get Drew’s reactions to the writing. She praises the good, so that we write more of it. And it works. Check the link above and the photo to the left. Creative Nonfiction has summer online classes give you the chance to experiment with new subjects or forms in a condensed 5-week format. Classes begin June 26, 2017 and include topics like digital storytelling, science writing for general audiences, historical narratives and experimental forms. Enroll by June 2 to get $50 off. We talked about the importance of editors and a couple of people mentioned Allison Dickens, who is teaching a class called Nailing Your First 20 Pages -an advanced workshop in novel and memoir. It’s a one-week intensive at the Westport Writers’ Workshop, from 10-12, July 24-28. Another recommended freelance copy editor was Stephanie Finnegan. Member Ed Ahern mentioned that the online journal he reads submissions for, Bewildering Stories, will always critique your submission, whether it’s accepted or not. Sounds like a good way of getting some feedback, and maybe publication. They accept submissions in all genres. A couple of places are offering a free book of writing advice if you sign onto their mailing list. One is from Autocrit, The Secret Formula to Publishing a Best-selling Novel, and the other is from Penguin books, The Ultimate Guide to Writing Advice. If you’re a friend of Poets and Writers, they give you the chance to list your latest publication in the nest Friends News. It’s too late for this year – entries closed on May 15th, but it’s worth bearing in mind for next year. Any book-length publication of poetry, fiction, or creative nonfiction published after December 2015 (so 2016 next year) is eligible to be listed, as are forthcoming titles. Chapbooks, translations, and self-published works may be included. Last but not least, for those of you writing a memoir, here’s an interesting article from The Creative Penn. Six Points to Consider When Writing a Memoir. That should keep you going until next month. See you then. And if you have any additional info, corrections etc, just put them in the comments below. Thanks, and Happy Writing! We had another lively meeting at the newly refurbished Barnes & Noble in Westport this week. The refurb has given us a bigger space to meet in – thanks! Twelve of us got to grips with things, and here’s some of what went on. I’ve listed them in date order. It’s rather late notice, I know, but TONIGHT (April 21st) the Westport Writer’s Workshop will hold a celebration featuring readings from a number of writers. Among them is Fairfield University’s Low-Residency MFA Program Director Sonya Huber, whose latest collection, Pain Woman Takes Your Keys and Other Essays from a Nervous System, was published in March; A propos, Sonya has written a blog post about all the available book awards, and provided a handy list here. Did you know you could nominate yourself for a Pulitzer? Free and open to the public, 7:30 PM at 323 Bar & Restaurant in Westport (323 Main Street). Glimmer Train, the highly respected literary journal, is looking for submissions for their fiction (3,000-20,000 words) and very-short fiction award (300-3,000 words). First Place gets $2,000-3,000, so – worth a try. Deadline April 30. The Westport Writers’ Workshop (WWW) is presenting a mini-conference as part of the Westport Library’s WestportWRITES program It’s on Sunday, April 30, from 1-5PM. Topic: creative writing and social justice. A selection of speakers will be led by WWW’s Executive Director, Valerie Leff. The American Society of Journalists and Authors is holding its conference in New York from May 5-6. Their focus is on the business of writing, getting your personal essays published etc. On Sunday, May 7 at 10:00 a.m, the Connecticut Press Club is sponsoring a workshop with Susan Maccarelli, founder of Beyond Your Blog and its eponymous podcast. Macarelli’s website and newsletters give you tips and strategies for submitting your blog posts to other websites. To be held at the Westport Writers’ Workshop. Details here. On May 14, Colm Toibin, Irish author of Brooklyn, will be speaking at the Westport Library. Register here. Our next WritersMic evening will be held on May 16, 7-8.45ppm in Westport. Join the Meetup for details and updates. Creative Non-fiction’s annual writers’ conference will be taking place in Pittsburgh, PA, from May 26-27. Suitable for both novices and experienced writers, the conference aims to help you write better. Plus, you’ll have the opportunity to meet one-on-one with literary agents, get concrete advice from industry insiders, hear what different kinds of editors are looking for, and focus on specific skills in inspiring small-group sessions. Moving into early summer, on Saturday, June 3 from 9- 5 p.m, the Mystery Writers of America/New York Chapter is holding a fiction writers’ conference at the Ferguson Library in Stamford. The full-day session will cover subjects like great beginnings, structure, revisions, etc, and will be taught by established members of the MWA. Publishing professionals will also be on hand. $75 per person (MWA members $65), includes all sessions, plus continental breakfast, boxed lunch and a coffee/wine wrap-up party. June 8-11 sees the National Society of Newspaper Columnists conference in Manchester, NH. The society is open to bloggers as well as more traditional columnists. A couple of us were looking for suggestions as to setting up an author’s website. Among the suggested software companies were: WordPress, Hootsuite and Weebly. And finally, one of our members, MarLou Newkirk, had a story published on an interesting website called Motherr. Read it here. Aninka has been going to a class with Tessa McGovern at the Fairfield County Writers’ Studio – Writing Your Novel to Prompts. She highly recommends it, since she’s getting help with the plot structure of her ongoing project, as well as getting back to her desk with new scenes to use in the novel. Penny Pearlman recommends an online editing tool you can find at ProWriting Aid. You can try it for free, and it’s very interesting. Apparently my writing (or the bit they analyzed) was cliché free, but what they picked up on was my English way of expressing myself. It actually gives specifics, not just general observations. As a corollary (and in order to blame someone else for my writing style), I turned to a website called I Write Like This site analyzes a passage of your work, and tells you whom you most resemble. Apparently I write like Cory Doctorow OR James Joyce. (I tried it twice because I wasn’t sure about the result.) So, Cory Doctorow is a Canadian-British writer, and James Joyce is, you know, James Joyce. It’s a flattering comparison, but I sincerely hope my writing is more comprehensible than Joyce’s. Neither of them is American, which I guess is what the analysis picked up on. Give it a shot here. Jacque Masumian has just launched her website , and she did it herself using Weebly, which she found easy to use. The results are impressive – check Weebly out here. Tricia Tierney, our Barnes and Noble angel (she lets us meet there) told us about an upcoming book signing by Betsy Lerner, author of The Bridge Ladies, and also a literary agent. It’s on May 14, at 3pm. If you come to hear her read and speak, don’t bring your manuscript – it might even get you blacklisted (I exaggerate, but you get it…). But she’s an interesting writer and has written several books, among them a book on the writing craft – The Forest for the Trees. 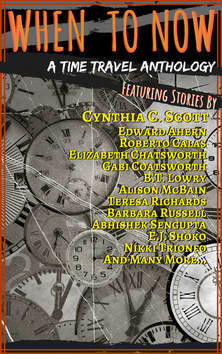 Another bookish event is Connecticut Authors Reading Series 3, hosted by Sophronia Scott at the Cyrenius Booth Library in Newtown, CT on May 1st at 2pm. Free, and refreshments provided, so a really refreshing afternoon all round. BTW, Sophronia and her son are featured in the Tribeca Film Festival success, Midsummer in Newtown – a great documentary with a lot of heart. Keep an eye out for it. Byrd’s Books in Bethel hold a twice-monthly writing workshop hosted by Judith Marks-White. It runs on the first and third Sunday of the month at 3pm. Cost $20. Upcoming events at the Fairfield County Writers’ Workshop include How to Get Published on April 30th, at 10am with Cynthia Manson (agent) and Caitlin Alexander (editor). More information here. The same day, The Westport Writers’ Workshop has a session with Suzanne Hoover from 2-4 in the afternoon: Essentials for the Fiction Writer. And they are hosting an Open House on Monday, April 25th from 5.30-7.30pm. It’s a good way to find out what they have to offer. Finally – the deadline for submitting to Glimmer Train’s Fiction contest is April 30th. There are two categories: Very Short Fiction (under 3000 words) and Fiction Open, bit with cash prizes. Every entry will be considered for publication and if chose, will be paid $700. Winners announced July 1st.